Age: 46 in dragon form, 24 in human form. Skin/Fur/Scales, Etc. : Her dragon form is coated by steel lined scales. Her human form is just normal skin. Eyes: In her dragon form, her eyes are purple. In her human form, they are aqua. 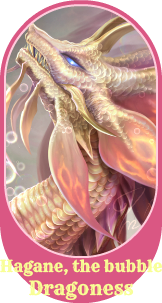 Hair: She has no hair in her dragon form, however, her human form has beautiful blonde hair which is so light that it can almost be classified as white. Her head is crowned with spikes, on the center of her forehead a brilliant gem. The horns trail down her neck slightly, before becoming single filed spines down her back. At the tip of her tail, she has a rather sharp point to it. This is incredibly sharp. Her face has fur on her jawline, with long a pair of brown whiskers. Her hide is covered by brown, steel lined scaled. Her shoulder has green gems embedded into it, her claws made from metal and steel itself. Her wings are large, with a single claw on it. 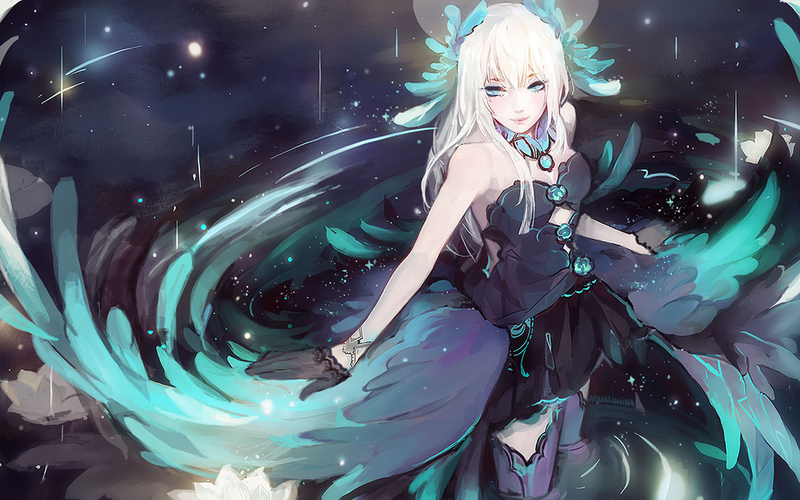 Her wings are a more flexible metallic substance, however, she cannot use them to fly. Essentially, Hagane is a dragon of incredible mass as she is almost entirely made of metals and gems. Her human form in comparison is quite... different. She's slender, has medium length white/blonde hair and is rather delicate looking. She has soft facial features and is rather cute (sometimes), which gets all the attention she doesn't want. Being an unmoveable mound of steel. Accidentally squishing things without realizing it. Hagane cannot fly. Despite being a dragon, due to the weight of carrying metal all over her, she literally cannot fly. She's too heavy. Her wings are only good for gliding from a high place to a low one, or to use them as shields to block attacks. Hagane MUST eat metal to survive. Normal foods which anyone else has to sustain them will not nourish Hagane. The only things that give her what she needs are metals themselves. Rusted or not, it'll feed her. 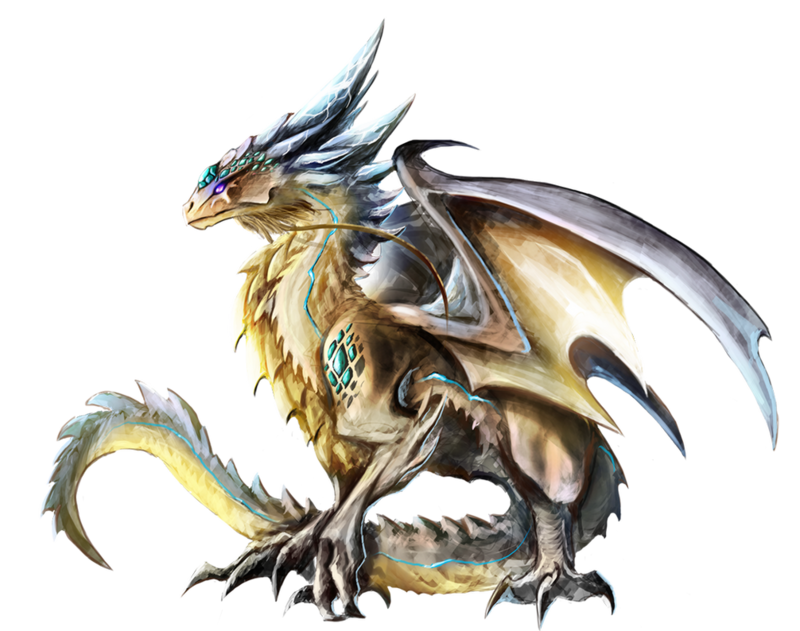 Hagane is incredibly slow in her dragon form, not having the grace nor the agility of other dragons. However, her incredible hits make up for her slowness. If the temperature becomes too cold (about -5 degrees Celcius) her joints begin to lock up and become stiff. She is basically a statue at -10 degrees. The only way to break this is to heat her up to an appropriate temperature, generally around -5, before she can start to move again. Traveling to ice lands is a big no no for Hagane. Extreme heat has a similar effect, making her movements much quicker and she becomes flimsy and uncoordinated with more heat. At around 800 degrees Celcius, her movements become incredibly uncoordinated and it's easier for her to fly than it is to move at these temperatures. And she CANT fly!